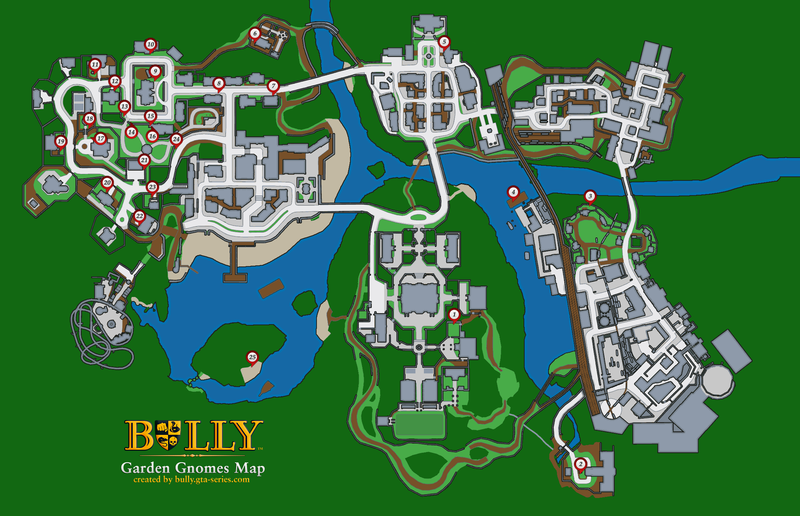 Find and destroy the 25 garden gnomes throughout the game world to unlock the Gnome outfit in Jimmy's wardrobe and a gnome trophy in the dorm room. When you complete Geography class #5 in Scholarship Edition, you unlock the locations on your map. by the north east entrance to old bulworth vale gardens. in the front yard of house 23.
on the beach north of the wrecked ship. there is one by the docks in blue skies(chapter 5) on a barge. this one can easily be knocked out with your sling shot, so don't even bother trying to bunny hop onto the barge. This page has been accessed 49,309 times.